A) Sight, sound, smell, taste and touch experiences are encouraged through a variety of developmentally appropriate materials and activities. Pour colored hair gel in a zip-top bag, close, and duct tape around the edges. 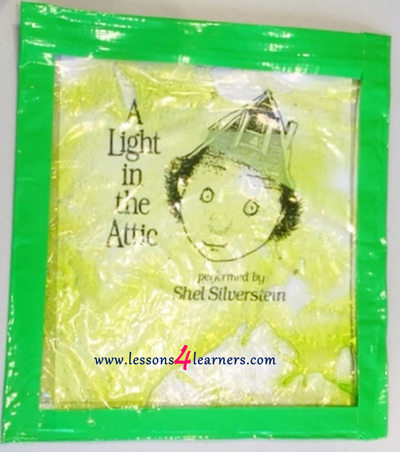 Place the bag over a page in a Shel Silverstein book or print out of an illustration. 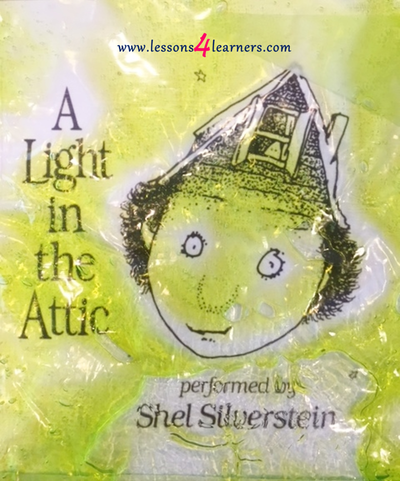 Invite child to use their finger to trace the letters and images behind the gel. 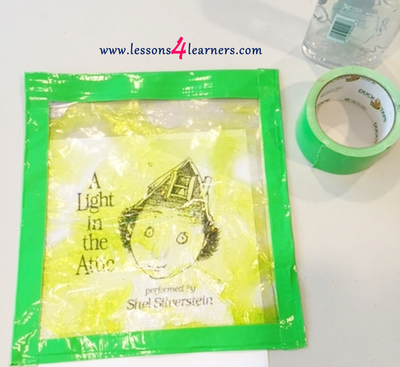 Pictures with larger text and illustrations may work best for this activity. We recommend book covers. Observe the child's reaction to the sensory aspect of the activity. Did they enjoy seeing the "drawing" of their tracing? Did they react to the gel or the color change? Exposing children to repetitive letter sounds will give them the skills they need to begin to recognize those sounds and eventually read and write them. Poems with alliteration are a goldmine of phonemic awareness practice. Children from a young age can benefit from alliteration, or the repetition of two or more beginning consonant sounds in a group of words. Before being able to recognize the letter names, children can recognize the letter sounds. 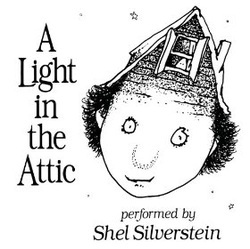 Silverstein poems with alliteration use those letter sounds in a fun and repetitive way that gives children the exposure to the sounds of the letters used in the alliterative sequence. Of a tear that runs down an angel's face. You can see that this poem has a great deal of alliteration. Though it is a long poem, you can take sections from it to work on phonemic awareness with students. Recite one of the lines and ask students to recall the beginning sounds they hear by imitating. Eventually they will be able to tell you the letter names that they hear as well. This can be a valuable tool for assessment and furthering their knowledge of phonemes.